MP Priti Patel is the daughter of Ugandan Asian immigrants to Britain. There’s a weak suggestion that Brexit is all about a desire for the return of the days of the empire. It’s a simplistic view and fails to take account of the many and varying reasons why British people voted to leave the European Union. Kenny argued “the complexities that have triggered Brexit” were far more subtle and sophisticated “than churning out a weary old trope of simplistic Brit-bashing”. Unfortunately, those who wish to take a more nuanced view of Brexit in an effort to understand the motivations behind it are all too often confounded by the utterances of leading campaigners on the Brexit side. 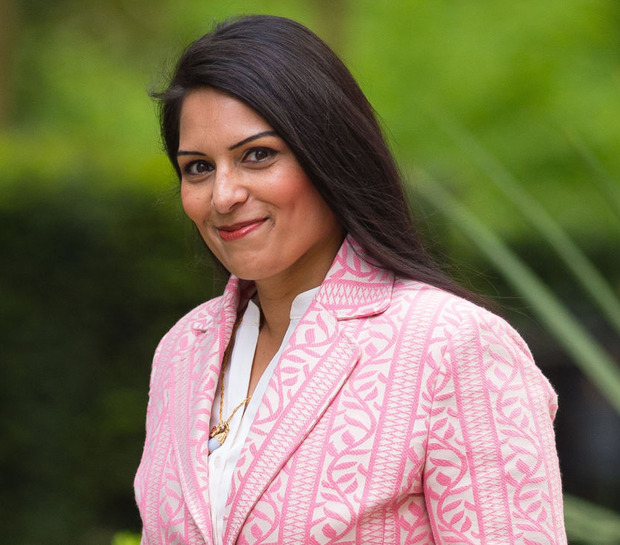 Priti Patel MP, the daughter of Ugandan Asian immigrants to Britain, can hardly be viewed in the same light as the toffs, spivs and public schoolboys who hanker after the days when the sun never set on the empire. The former international development secretary is regarded as a gifted politician. But even she is not averse to a foot-in-mouth moment so characteristic of Brexiteers. Ms Patel is suggesting the threat of food shortages be used to force Ireland to drop the backstop. She was reacting to a leaked British government report saying that Ireland will suffer a GDP drop of 7pc and risks food shortages. The report noted that Ireland was a far more open economy than the UK and outlines our vulnerabilities post-Brexit. The Tory MP feels the warnings could be used as leverage. “This paper appears to show the government were well aware Ireland will face significant issues in a no-deal scenario. Why hasn’t this point been pressed home during negotiations? There is still time to go back to Brussels and get a better deal,” she says. EU Agriculture Commissioner Phil Hogan condemned the comments pointing out Britain imported 60pc of its food needs, and 43pc of these came from Ireland, with products of high quality popular with British shoppers. “So, if she wants to advocate a policy that brings about the starvation of the British people, this is a good way of going about it,” Mr Hogan said. Ms Patel’s suggestion is ridiculous and shouldn’t be afforded the requisite credibility. She is also clearly not a student of Irish history as she appears unaware of our past experience of food shortages under colonial power, most notably the Great Irish Famine of the 1840s. Nor does she reflect upon the 1940s when Britain held out against efforts to starve its people into submission in World War II through a sea blockade on its merchant navy importing food. Food security is not a bargaining chip.